Understanding the goals of each client, the session is approached from multiple perspectives and energy levels (body, mind, spirit) moving the client toward balance. Moira facilitates each session to engage with and listen to your system, allowing your inner healer to emerge forth and bring about movement, light, healing, and awareness where needed. Moira's integrated approach cultivates mindfulness and a stronger relationship with one's authentic self and center. 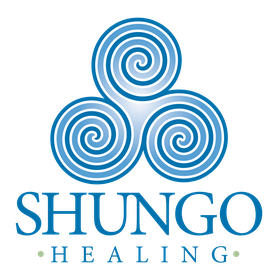 Each session is unique and various techniques may be used, including: therapeutic bodywork (myofascial release, circulatory massage, relaxation massage, visceral manipulation, Thai Abdominal Massage, and ATMAT), spiritual healing, spiritual coaching, guided meditation, visualization, sound healing, crystals, smudging, essential oils, and conscious dialogue. A session may have more a physical component, more of an energetic component or Shamanic Energywork, depending on your system's needs. The only requirement is to be open to your own ability to heal. Touch is such an important part of our experience. Using bodywork we'll address the physical aspect of being and the energy and emotions that it carries and influences.